Planet Radio City Tamil Gold Live Online . Listen over 100 Tamil radio stations live online . Relive your memories with evergreen hits from the 60s, 70s and 80`s by Kollywoods`s legendary artistes . 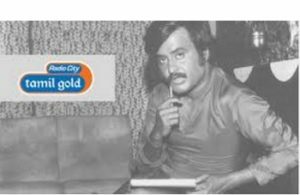 Radio City Tamil Gold broadcasts most popular Classic Tamil Songs 24 by 7 . It has very huge and good collection of tamil classic songs .